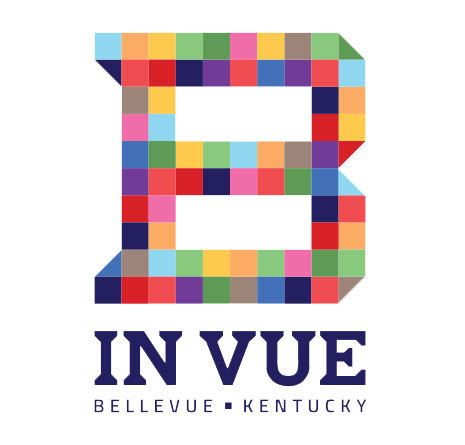 Here in Bellevue, we have a collection of wonderful shops that offer unique products and items you can't find anywhere else. From American Girl Doll clothing and hand made furniture, to custom jewelry and antiques, the shops in Bellevue will keep you and your friends busy for hours. And everything is within a few city blocks! A uniquely curated collection of hand-crafted and artisanal items, hand-selected furnishings including repurposed pieces. Original prints and local-interest books. You'll find inspiration for all your rooms and loved ones. Embroidery and gifts for embroidery! Estate jewelry, Rolex and Patek Phillipe watches, and state of the art repair. Creating satisfaction since 1932! Coda Co. specializes in rustic home decor. Many of their items are made from up-cycled materials such as wood from old bourbon & wine barrels, coffee bean bags, and barn wood. Each piece is handcrafted and unique! 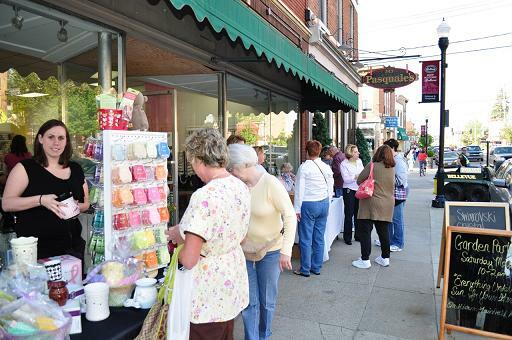 Filled to the brim with handcrafted gifts, candles, local goods, and more. We carry a large selection of hand-made doll cloths that were made to fit American Girl dolls. Frame and Hang Studio and Gallery established and up-and-coming artists from around the NKy and Cincinnati region. We feature an eclectic array of styles and subject matter that reflects the diverse variety of artistic expression. We are also a full service custom framing studio. Higgins Violins is located in the heart of the Bellevue Historic District. The studio features hand-crafted instruments made by Patrick Higgins, and also offers personal violin lessons. At Bellevue Violins, they believe that quality music instruction is so critical, so valuable to our community, that everyone should be given the opportunity to enjoy its profound and lifelong benefits. From the music enthusiast to the child prodigy, their goal as instructors are to make learning to play the violin, viola, cello or bass a truly fulfilling experience for every musician. Kentucky Botanical Co. is owned and operated by husband and wife team, Chad and Christain Watt. Specializing in essential and infused oils, CBD, and other natural, wellness based products, their goal is to help bring awareness to the community around them. Le Sorelle features new and previously loved women's apparel and fashion accessories, and apparel and fashion accessories for kids. Come in and experience upscale resale at it's best. The Purple Monkey has merged, so we now showcase an eclectic mix of toys, greeting cards and contemporary gifts for adults, and a few for kids too! Petri's Flowers is a full-service florist offering flowers for every occasion and gift items. An eclectic mix of toys, greeting cards and contemporary gifts for adults, and a few for kids too! RESN8 features artwork of the owner, Patricia Lynch, and her sons Brandon and Donnie Maupin along with other local and regional artists. The goal is to feature a new show every other First Friday that will include traditional portraiture, family and pets, contemporary and abstract art. Look for classes to be offered for all levels from beginners to advanced. Home Made Candies & Ice Cream since 1939 Opera Cream's are our specialty Schneider's Sweet Shop brings back the memories of the old time corner ice cream and candy store you remember from years ago. We can still be found in our original location in Bellevue, still using the same equipment, methods and time-tested recipes used by Robert Schneider Sr. handed down to his son Jack . We make all of our own chocolates and cream candies right on the premises, using only the freshest and purest ingredients. You simply must visit Splendid Things, a most unusual shop filled with unique gifts and accessories for your home and you. Featuring handcrafted and vintage jewelry, gorgeous handbags, fabulous furniture accent pieces, decorative garden items, and exceptional customer service. Decorative flags, sports team items, stationary, and gifts. Discover our vast selection of vinyl records & cassettes. We also have vintage speakers, turntables and receivers. Buy - Sell - Trade! A special hand-picked mix of treasures and collectibles from past times. From antique dressers to outside gardening fixtures and everything in between. New items added every week. A fun stop to shop. Treat yourself to shopping while enjoying holiday treats and the chance to win exiting prizes! Restaurants, galleries and an assortment of craft, gift and specialty shops for all your holiday shopping needs! 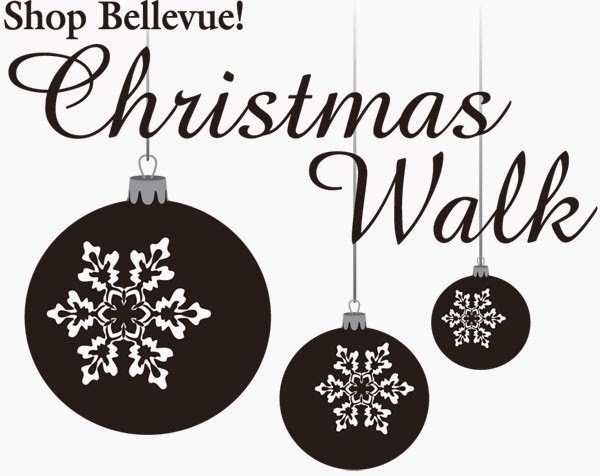 On Saturday, November 26th at 11 a.m., Santa and Mrs. Claus will be coming to Bellevue! 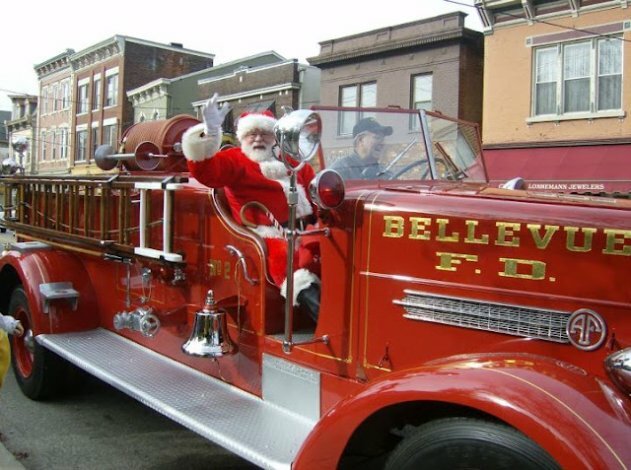 They will arrive at 318 Fairfield Avenue aboard Tom Rechtin Sr.'s antique Bellevue firetruck. Bring the kids to meet Santa and Mrs. Claus from 11 a.m. - noon at 318 Fairfield Avenue, or meet them along the Avenue as they, too, window shop for local, one-of-a-kind gifts. Click here to browse the directory of local shops.